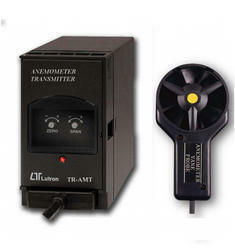 We take pleasure to introduce ourselves as one of the renowned trader and supplier of Cup Type Anemometer. Offered product is manufactured by our experienced workforce using outstanding quality materials and latest techniques at our well equipped manufacturing unit. In addition, our offered product is strictly tested on numerous quality parameters by our quality experts so as to deliver a defect free range from our side. 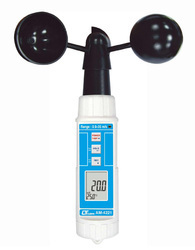 Our organization has gained immense recognition for offering quality assured Anemometer Transmitter. The provided transmitter is developed in conformity with the international quality standards utilizing high grade material & modern techniques. Offered transmitter is quality tested on well defined parameters by our quality experts so as to deliver a defect free range. We offer this transmitter in bulk quantity to our customers at nominal price. 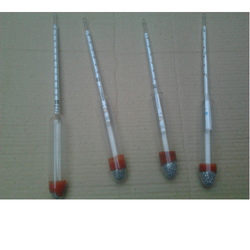 We are engaged in manufacturing and supplying of Density Hydrometers of superior quality range. Hydrometers is a device to measure relative density of liquids such as Grease, oil etc. Components used in a hydrometer are glass frame, cylindrical stem and bulb floating in the mercury fluid. To test the density of a liquid, we use a long glass jar. The jar is filled with liquid and hydrometer is floated inside the fluid. The liquid surface touches the stem of hydrometer at specific point, which indicates specific gravity of that fluid. 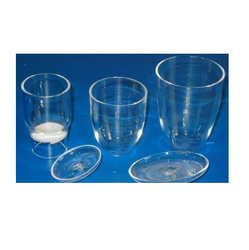 We are very well known to provide Quartz Crucibles and Lids to the clients. Quartz Crucibles and Lids are manufactured and developed by using high-quality raw material and by employing advanced technology and machine in order to meet the quality standards. The offered range is made available in different models and specifications as per the requirements of our esteemed clients. Quartz Crucibles and Lids are mainly used for melting of platinum, gold, silver, dental alloy, glass, glaze, and spathic silicon, etc. 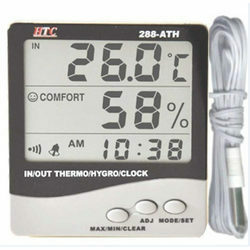 We are the Leading Supplier of Thermo Hygrometer with Clock Digital. 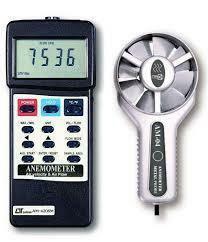 We are the Leading Supplier of Whirling Hygrometer (Psychrometers). 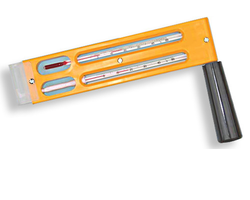 Our organization is committed to maintaining the entire product quality including Whirling Hygrometer (psychrometers). 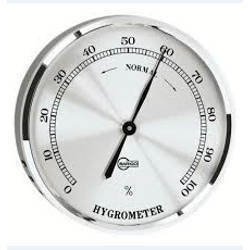 We assured our clients that our Whirling Hygrometer (psychrometers)has high strength, quality and well tested on different quality parameters. They are precisely designed and finished by the team of experts. They obtained using the supreme quality of raw material and give the trouble-free performance to the user. We assure our clients for the time frame delivery at any part of the country. Moreover, our clients can avail this product from us at industrial leading rates. We are the Leading supplier of Thermo Hygrometer. The offered product is appreciated among customers owing to its fine finish & optimum quality. This product is manufactured by our workforce utilizing excellent quality material and sophisticated techniques in accordance with the set quality standards. Our given product is accessible in assorted specifications as per the definite requirements of the customers. 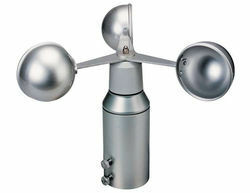 We are the Leading Supplier of Cup Counter Anemometer. The Anemometer Cup Counter is used for measuring the speed. The Instrument has a Cup wheel comprising of three conical cups made from Copper sheet with bedded edges and free to rotate in a horizontal plane. The Cup wheel spindle is connected by worm gearing to a revolution counter mounted side waterproof housing made from Gunmetal casting. The gear retro between the cup and counter Is so chosen that the run of the wind is shown directly In Kilometers and tenths. The Counter mechanism has five figures and reads upto 9999.9 km before repeating itself. In order to cement our reputation in the market, we are engaged in catering an excellent range of Flow Anemometer. This product is provided in diverse specifications so as to meet the requirements of customers. Offered product is manufactured with best quality components and contemporary techniques keeping in mind the set norms of industry. As well offered product is available at competitive rates in a promised time frame. 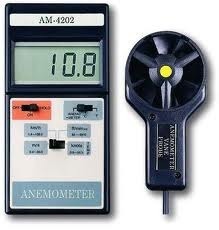 We are the Leading Supplier of Thermo Anemometer. USB real time data uploading functions. 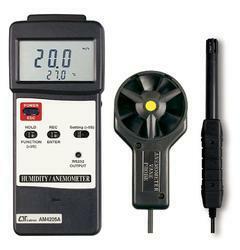 Looking for Thermo Anemometer and Hygrometer ?